Question. When you think about establishing a content marketing strategy, do you equate that to a large investment of time and energy? I think any time you include the word strategy with a task, most people automatically envision a huge project involving hours of documentation, research and policies. While that can certainly be the case for some strategies, your content strategy doesn't need to be that complex. Anyone who tells you otherwise is probably wrong. Your content marketing strategy can be as simple as a basic list of items that anyone creating content for your organization has access to and understands. By knowing and committing to this list, you'll be light years ahead of many of your competitors. 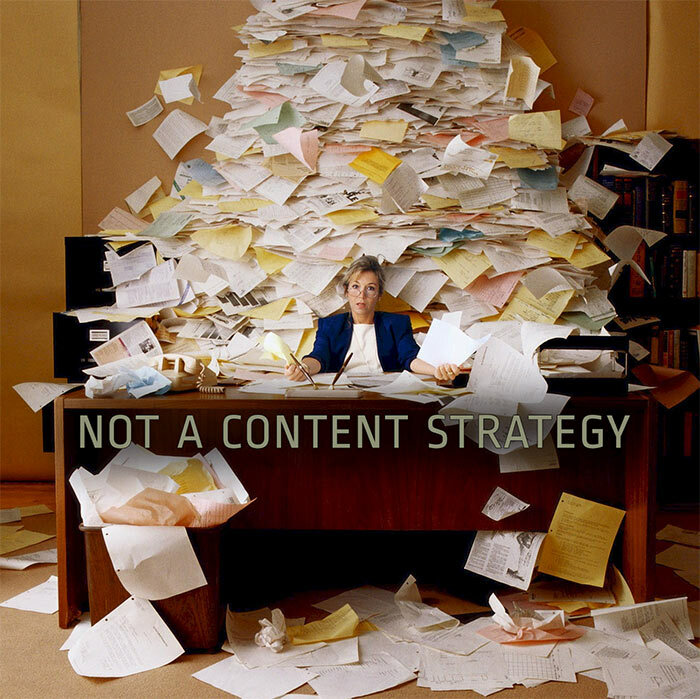 Make the decision that content marketing is a must, not a should. Identify your internal content marketing team and kick off the efforts on the right foot. Understand fully why your clients buy from you and how you help solve their problems. Know who your best buyers are by identifying your buyer personas. Make a list of colleagues at your organization that can be tapped for their knowledge. Create a set of examples of good and bad content FOR YOUR ORGANIZATION, not in general. Make a list of external resources to look to for inspiration and add to it over time. Provide a Microsoft Word or Microsoft Powerpoint (or Google Apps equivalents) template for ebooks/presentations. Provide a shared folder with stock photos and graphics for use in content or an account at a stock photo resource. Have guidelines/policy for anyone who writes for your organization to nip potential problems in the bud and set the course. Document a simple workflow for approval of content before it "goes live". This could be as simple as an email exchange. Setup Google Analytics or any other tracking metrics you'd like to use so you can gauge effectiveness of your efforts. The HubSpot software blog has a smaller list to review but it assumes you already have an internal marketing team. Many of our clients do not. Sometimes it's helpful to have someone guide you through this initial process to make sure you get off on the right foot. We'd be happy to help.